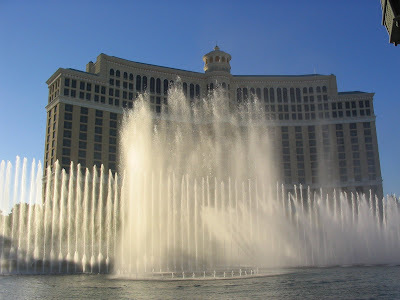 On December 31, 2007, Bellagio, LLC (“Bellagio”), the owner of the world-famous Bellagio hotel and casino in Las Vegas, filed a trademark infringement lawsuit in the U.S. District Court for the Middle District of Florida against Bellagio Harbor Village Master Association, Inc. (“BHVMA”) and DTM Development Inc. (“DTM” and together with BHVMA, the “Defendants”). See Bellagio, LLC v. Bellagio Harbor Village Master Association, Inc. et al, Case 07-CV-02375 (M.D. Fla.). A copy of the complaint can be downloaded here. 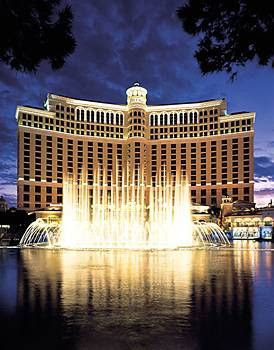 According to the complaint, Bellagio has been using the BELLAGIO mark on numerous goods and services since opening in 1998. Bellagio holds several registrations on the BELLAGIO mark, including for Real estate investment and Real Estate management and Residential and commercial building construction, Real estate development and Land development services. Bellagio also holds registrations for the mark BELLAGGIO, for Homeowner association services, Real estate listings and brokerage services, Land development and construction services, namely, planning, development and construction of residential communities. BHVMA and DTM are developing and selling condominiums in Osprey, Florida under the name “Bellagio Harbor Village.” BHVMA manages and operates the Bellagio Harbor Village condominiums as a homeowner’s association. DTM is the owner/operator of the web site http://www.bellagioharborvillage.com/. Bellagio argues that the use of the Bellagio name in BHVMA’s housing development and vacation properties and on DTM’s website is likely to cause confusion with and dilute Bellagio’s famous and distinctive mark. Bellagio’s complaint sets forth causes of actions for federal trademark infringement (15 U.S.C. §1114), unfair competition and false designation of origin (15 U.S.C. §1125(a)), trademark dilution under federal law (15 U.S.C. §1125(c)) and Florida common law, cybersquatting (15 U.S.C. §1125(d)), federal trade dress infringement, Florida common law trademark infringement and unfair competition, violations of Florida’s Deceptive and Unfair Trade Practices Act (Fla. Stat. §501.201 et seq. ), and intentional interference with prospective economic advantage. In addition, Bellagio claims that DTM’s website advertises the same type of luxury resort living that Bellagio offers. The complaint notes that DTM’s website even includes a stylized “B” similar to that used by Bellagio and likely to cause confusion by leading customers to believe that the condominiums and the website are affiliated with Bellagio. Bellagio is seeking an injunction against the Defendants to stop them from using the BELLAGIO mark in connection with its business and from using any domain names containing the BELLAGIO mark. Bellagio also requests the transfer of the http://www.bellagioharborvillage.com/ domain name to Bellagio. Finally, Bellagio seeks the usual damages (compensatory, consequential, statutory, punitive) as well as interest, costs, and attorneys’ fees. District courts in the 11th Circuit consider the following seven factors in determining likelihood of confusion: (1) distinctiveness of the mark alleged to have been infringed; (2) similarity of the infringed and infringing marks; (3) similarity between the goods or services offered under the two marks; (4) similarity of the actual sales methods used by the two parties, such as their sales outlets and customer base; (5) similarity of advertising methods; (6) intent of the alleged infringer to misappropriate the proprietor's good will; and (7) existence and extent of actual confusion in the consuming public. See Conagra, Inc. v. Singleton, 743 F.2d 1508, 1514 (11th Cir. 1984); see also Custom Mfg. & Eng'g, Inc. v. Midway Servs., Inc.,—F.3d—, 2007 WL 4165634, at *3 (11th Cir. Nov. 21, 2007). Bellagio’s mark certainly has acquired distinctiveness and the Defendant’s name is very similar. The services provided by the Defendant under the mark are similar to those recited in Bellagio’s registrations. Both parties are likely have a similar client base (affluent individuals looking for elegant, resort style living) and likely advertise online and other similar ways. The lack of actual confusion is not detrimental to Bellagio’s case given the balance of the factors. Most likely, however, Bellagio can probably procure a survey that may uncover some actual confusion by the consuming public. As for the Defendant’s intent, further discovery may be needed to determine if the Defendants chose the name in order to appropriate Bellagio’s name and goodwill. Defendants will likely try to argue that it chose the word Bellagio because it means “Beautiful Lake” in Italian (the condos are waterfront after all). Nonetheless, on balance, the likelihood of confusion factors seem to favor Bellagio. Curiously, the complaint mentions that Bellagio licenses the BELLAGGIO name for real estate and land development services, but it did not mention who its licensee(s) are and where such real estate and land development services are being provided. In addition, the complaint does not specify when BHVMA started using the mark or when DTM registered the domain name, both of which are relevant to determining any prior user rights as well as viability of the dilution and cybersquatting claims. Bellagio’s cybersquatting claim, because the infringing domain name is the same as the name at issue, will rise or fall with its trademark infringement claim. As for Bellagio’s dilution claim, it may be an even stronger argument for Bellagio on the off chance that Defendants can argue that its services are not confusingly similar to any services provided by Bellagio (even after giving the Bellagio’s descriptions of services in its registrations their broadest meaning). 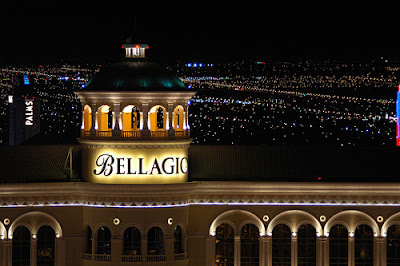 While my perspective of the fame of the Bellagio name may be skewed because I live in Las Vegas, I think that the Bellagio name has come to be "widely recognized by the general consuming public of the United States as a designation of source of the goods or services of the mark’s owner." § 1125(c)(2)(A). The defendants likely began using the mark after it became famous. There is a similarity between the two marks that gives rise to an association between the marks, namely the prominent name Bellagio. The issue comes down to whether the association is likely to impair the distinctiveness of the famous mark or likely to harm the reputation of the famous mark. Looking at the six factors enumerated in the statute for “dilution by blurring” (15 U.S.C. § 1125(c)(2)(B)), I tend to think they favor Bellagio. The claims of trade dress infringement seem like a stretch. The complaint asserts trade dress infringement under Section § 1114; however, there is no indication that Bellagio has any registered trade dress. But even under §1125(a) – is Bellagio seriously claiming exclusive rights to elegant Italian architecture and nice fountains in housing developments and vacation properties? Finally, regarding the interference with prospective economic advantage, this is typically a difficult tort to prove without solid evidence of actual business relations that were actually interfered with (and resulted in damages) because of intentional conduct by a defendant. Florida requires the showing of 1) existence of a business relationship; 2) the other party's knowledge of the relationship; 3) the other party's intentional and unjustified interference with the relationship; and 4) damages resulting from the subsequent breach of the relationship. So, unless Bellagio has some specific evidence of actual business relationships that Defendant knew about and intentionally interfered with so as to cause a break-up of such relationship with Bellagio, then I don’t think this claim has much of a chance. If you want to see what is arguably the best of the many Bellagio fountain shows -- the one featuring Andrea Bocelli's rendition of “Con te Partiro” (“Time to Say Goodbye”) – you can watch it on YouTube either from the street view (link here) or lake room view (link here). Thank you for a thoughtful and thorough review of a fun trademark case! I was surprised to learn that the Bellagio is registered for real estate development. I think of them strictly as doing hospitality/hotels. I look forward to keeping track of developments.